The Senepis Tiger Sanctuary – a prominent feature of the massive international greenwash campaign of paper giant Asia Pulp & Paper (APP) – is being subject to clear cutting operations by one of the company’s wood suppliers, an investigation by WWF and partners finds. 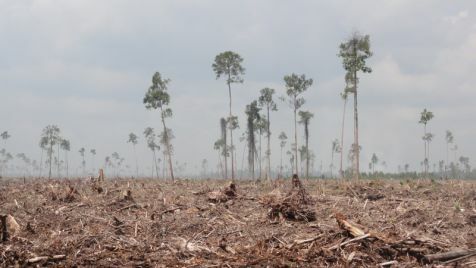 Pekanbaru, Sumatra – The Senepis Tiger Sanctuary – a prominent feature of the massive international greenwash campaign of paper giant Asia Pulp & Paper (APP) – is being subject to clear cutting operations by one of the company’s wood suppliers, an investigation by WWF and partners finds. 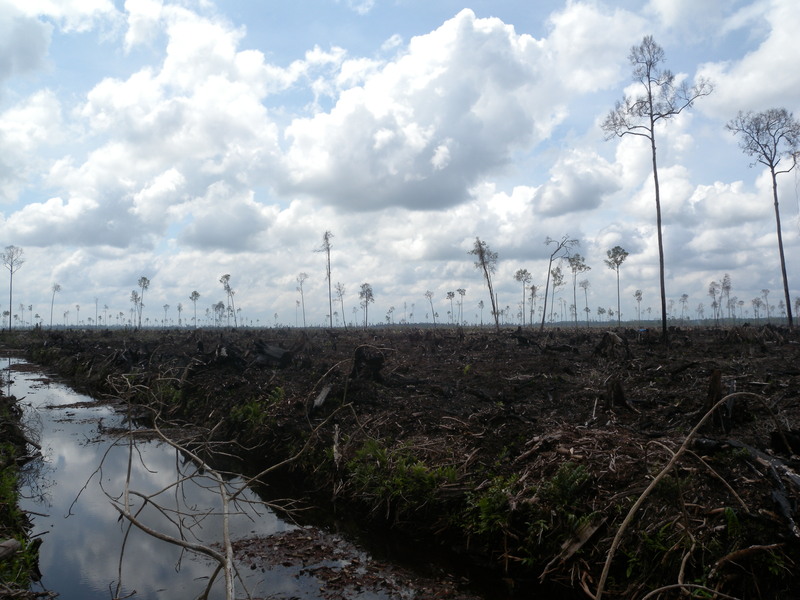 “The truth behind APP’s Greenwash”, a new report released today by Sumatra-based NGO coalition Eyes on the Forest, estimates that APP, part of the Sinar Mas Group, has pulped more than two million hectares of Indonesia’s tropical forests since it started paper production there in 1984. 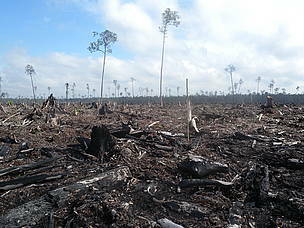 According to the report, APP’s continued clear-cutting of forests including elephant, tiger and orang-utan habitat and the immense climate change impacts of draining deep peats to establish high turnover plantations is completely contrary to the image of environmental responsibility it is pushing through front groups and media advertising. The truth behind APP’s greenwash details how the company made the same promise on moving to 100% plantation sourcing of timber for major pulp mills four times – missing self-imposed deadlines to stop using native forest timber in 2004, 2007 and 2009. 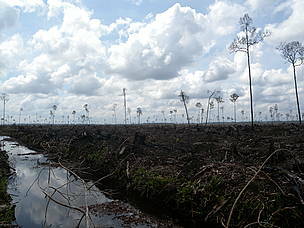 APP is now announcing it will meet its commitment on timber sourcing by 2015 – a deadline Eyes on the Forest says it expects APP to also miss. 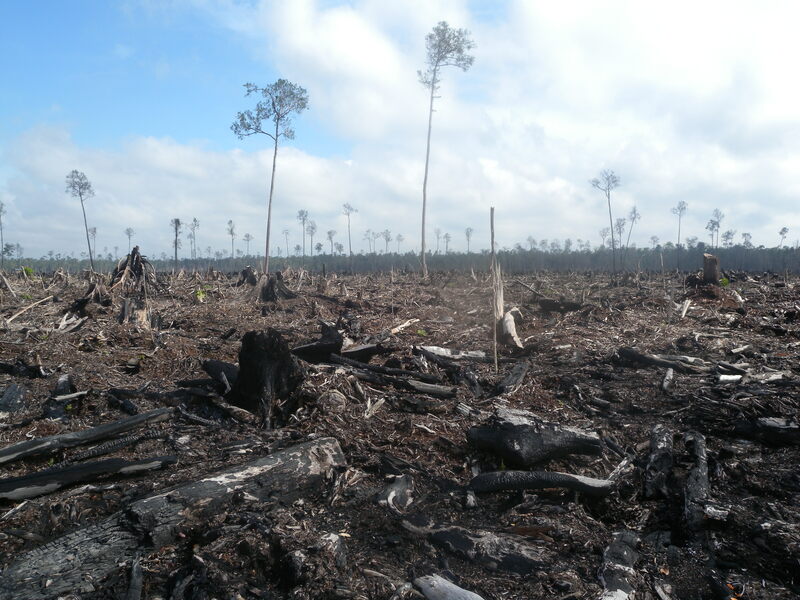 Through field investigations in June and October 2011 and historical satellite image analysis up to June 2011, Eyes on the Forest found that the APP supplier, PT Ruas Utama Jaya has been clear cutting tropical forest inside the Senepis Tiger Sanctuary. 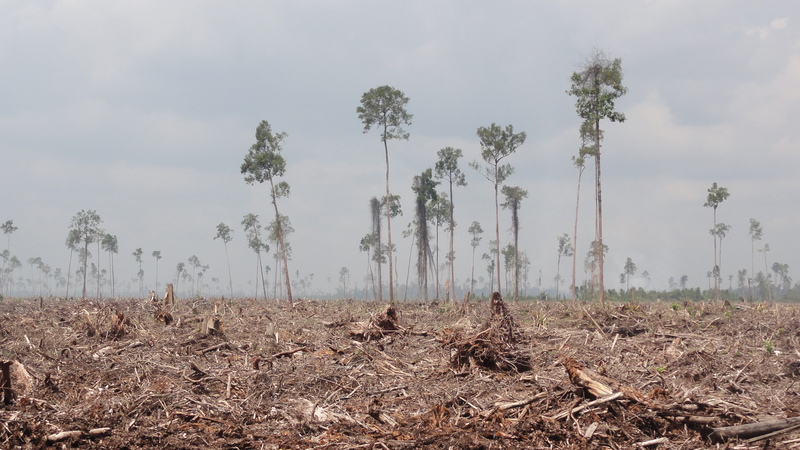 “This is clear proof that the global advertising claims of APP that it actively protects Sumatran tiger are highly exaggerated”, said Anwar Purwoto of WWF. The investigation shows a tiger sanctuary reality vastly different from the picture being pushed to the world media and through various front groups by APP. After apparently trying to halt a government-proposed Senepis National Park that would have protected tiger habitat targeted by APP for pulping, the company switched to advertising a leading role in creating the “Senepis Tiger Sanctuary” in 2006, according to The truth behind APP’s greenwash. 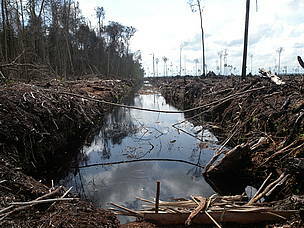 The report alleges a very minor additional APP conservation contribution for Sumatra’s critically endandgered tigers - some 86% of the sanctuary is located on the already-protected forests of a Forest Stewardship Council-certified logging concession held by unrelated company PT Diamond Raya Timber. Now, according to the report, at least one APP supplier is engaged in clear cutting and drainage of the small areas that were APP’s only real contribution to the sanctuary. 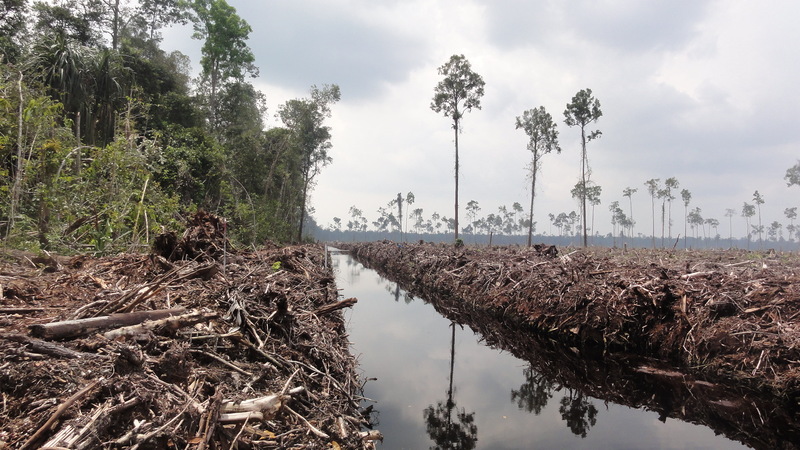 "Misleading customers about the brutal reality on the ground"
“It’s appalling that APP is pulping even the small blocks of forest it had told the world it would protect as tiger habitat,” Hariansyah Usman of WALHI Riau said. “This report shows a different picture to this and other, much-touted APP 'conservation projects' ". In the Netherlands, APP’s print and television advertisements have been judged misleading to the public by the country’s Advertising Codes Commission. Many global buyers, including some of the biggest paper users in the world, have ceased purchasing from APP. However, APP sells office paper, paper-based packaging and other paper products and is increasingly expanding globally into tissue products like toilet paper, including the brand names Paseo and LIVI. 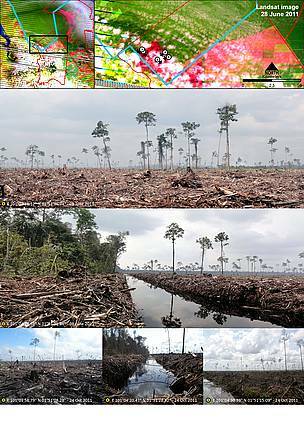 Peat draining and large-scale clearance of natural forest by APP wood supplier PT. Ruas Utama Jaya inside APP’s Senepis Tiger Sanctuary in June and October 2011. Peat draining and large-scale clearance of natural forest by APP wood supplier PT. Ruas Utama Jaya inside APP’s Senepis Tiger Sanctuary in June and October 2011. Arrows next to photo numbers in map (top right) indicate directions photos were taken.